I’ve mentioned before that I’ve begun more spontaneous movement than before keto. I will climb up the escalator instead of just riding it because I just feel like it. I’ll take the stairs instead of the elevator. I’ll go for long walks on my lunch hour when I’m not eating lunch. But I feel the time has come to “up my game”. 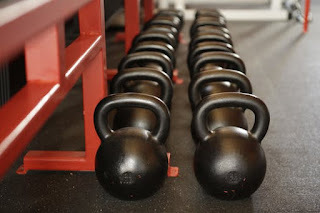 I’ve decided to add deliberate exercise into my health regimen. I have a few goals for this exercise. I’d like to increase my flexibility. I have a hard time bending to get things and a horrible time getting up if I’m down on the floor. I’ve always been well above average for my lower body strength. In high school I could max out our leg press machines pretty easily. But I’ve always been well below average in my upper body. I’d like to see if I can catch up and increase my upper body strength. I’d also like to increase my endurance as well, although now I can stand and walk hours without too much trouble. Before I started keto I couldn’t stand for much more than 30 minutes before my back would start to hurt. So the question came to how I wanted to try to improve. In the past I’ve had a gym membership and a personal trainer. That accountability has helped me. Also I’ve never been particularly athletically inclined, so having someone to help motivate me and accelerate my progress is good. But I’m not sure that I really want or need a gym membership just yet. 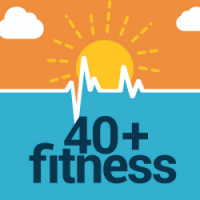 I decided to sign up with Allan Misner, the host of the “40+ Fitness Podcast”. You may remember that Allan Misner is the person who ran the fitness classes at Ketofest, the classes that prevented me from walking normally for a few days. Despite having over done it at Ketofest, I think he has a lot of good information and I enjoy his podcast. He has also promised that we won’t start going quite so hard, so I should be able to walk after working out. I’ve signed up, had my first overview session with him on Friday, December 08, 2017. I’m looking forward to sharing my results with you in the coming months. In my next post I'll discuss why keto works while other diets seem to fail. You can also read my previous post about my first year of keto in review.